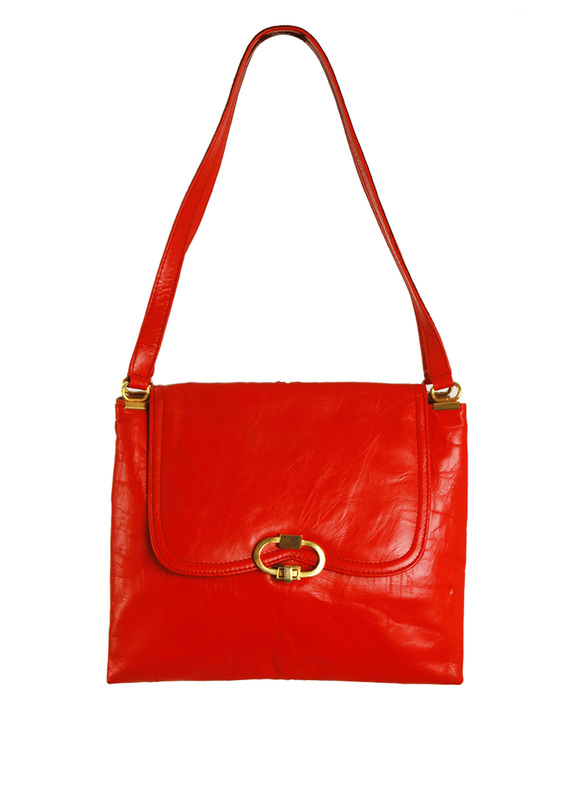 Vintage 1960’s vinyl handbag in a bright orange/red colour tone. 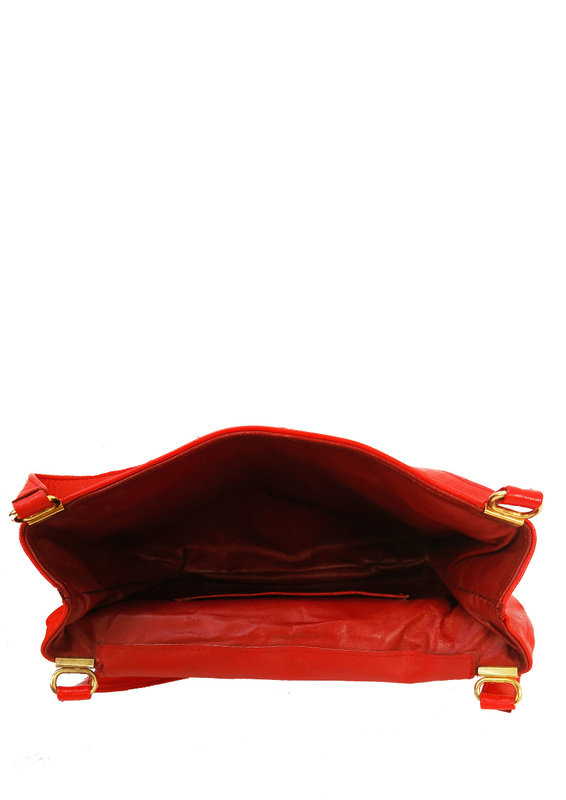 The bag has double shoulder straps, attached via gold oval clasps as well as an oval shaped gold fastening mechanism at the front. 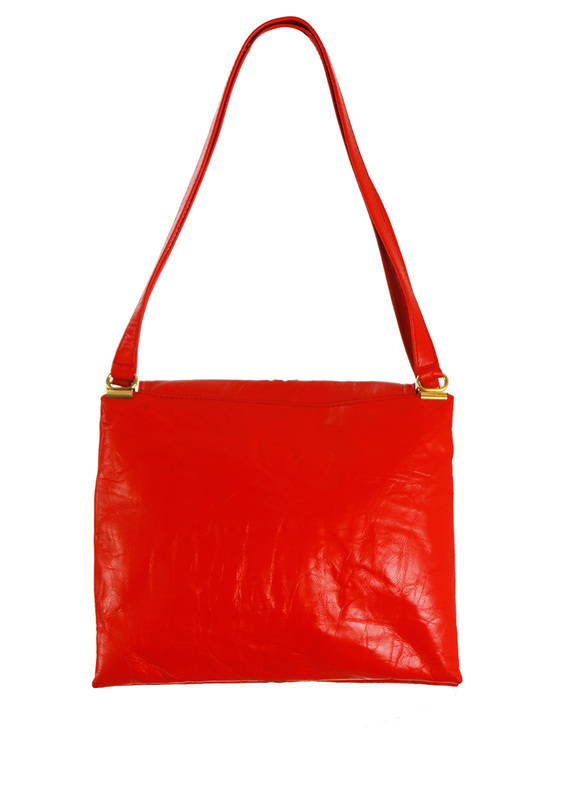 The bag is lined in a deeper red with an inside pocket. A perfect 60’s classic!